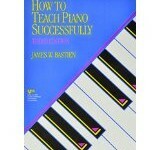 This is the definitive work on consummate piano teaching. 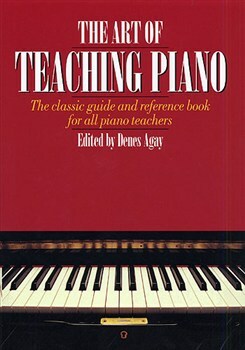 Edited by world-renowned piano pedagogue Denes Agay, this comprehensive volume covers a wide range of musical styles and concepts, coaching processes, and teaching materials. As well as exploring every possible technical aspect of teaching piano, the book contains a great deal of commonsense advice on communicating with pupils, encouraging good behaviour, and establishing a genuinly creative teacher/pupil relationship. 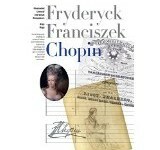 Twelve distinguished contributing authors cover topics that include instilling performance and keyboard skills; teaching both young children and adult beginners; designing teaching programs for handicapped students; giving group piano classes; organising and presenting recitals.